In Turkey, there is neither a specific piece of legislation that governs securitisation transactions involving an offshore special purpose vehicle (SPV) nor a restriction for such offshore securitisations with foreign SPVs. However, Capital Markets Law No. 6362, the Communiqué on Debt Instruments VII-128.8 (the Communiqué on Debt Instruments), the Communiqué on Asset-Backed and Mortgage-Backed Securities No. III-58.1 (the Communiqué), and the Communiqué on Principles Regarding Establishment of Mortgage Finance Institutions No. III-60.1 (together with Capital Markets Law No. 6362, the Communiqué on Debt Instruments, and the Communiqué: the AMBS legislation) provide a legal framework under which asset-backed securities (ABS) and mortgage-backed securities (MBS together with ABS is the AMBS) may be issued in Turkey by using an onshore SPV (ie, a fund) established in accordance with the AMBS legislation. From a banking regulation perspective, a specific regulation covering the risk-weighted calculations of securitisation transactions exists (both traditional and synthetic), which is updated from time to time by the Banking Regulation and Supervision Agency (BRSA) to ensure consistency with the respective Basel principles. As noted in question 1, there is no such definition for securitisation with offshore SPVs, whereas domestic securitisations are defined and governed by the AMBS legislation providing for two types of securitisations, namely ABS and MBS. There is no publicly available data that provides a reliable estimate of the size of the Turkish securitisation market. However, Turkish banks have been involved in securitisation transactions since the mid-1990s and have heavily used diversified payment rights (DPRs) as underlying products assigned to offshore SPVs since the early 2000s. Apart from a few attempts to use some other trade receivables, a variety of receivable types have not been used in securitisations. As for the domestic transactions in accordance with the AMBS legislation, there have been a few transactions in market that didn’t involve revolving aspect and were limited size owing to structural concerns in funds that are not allowed to issue additional MBS/ABS unless the existing series have been paid in full as well as certain tax ambiguities under the AMBS legislation. The Capital Markets Board of Turkey (CMB) is the official authority regulating onshore securitisation transactions in Turkey In accordance with the regulations that an issuer or originator may specifically be subject to, such as banks. Turkish banks are subject to surveillance by the BRSA, the Central Bank of Turkey and the Ministry of Trade, none of which currently require any approval or filing for offshore transactions. However, there are certain filing requirements before respective tax authorities in respect of offshore issuances. joint stock companies that have been established solely for the purpose of sukuk issuances, etc. All issuers (funds and MFIs) must be licensed by the CMB. Under the AMBS legislation, receivables originated by banks, financing companies, financial leasing companies, TOKİ or other originators as may be deemed appropriate by the CMB can be transferred to the issuer (ie, to the fund in most cases) for the purpose of AMBS issuances. On the other hand, receivables of joint stock companies that provide goods or services may be transferred to the issuer only, for ABS issuances. Banks, financing companies and financial leasing companies must be licensed by the BRSA and the Ministry of Trade in accordance with the respective laws and regulations as regards their field of activities. As for licensing requirements for joint stock companies, some companies must be licensed by the Ministry of Trade, other authorities or both, depending on the activities they are engaged in. In terms of the servicers, the AMBS legislation sets forth which entities are entitled to act as a servicer (ie, founder, MFIs, entities that are permitted to establish funds under the Communiqué and originators); however, it does not envisage any separate licence for acting as servicer other than those obtained from the respective authority under the applicable legislation (for instance, the bank acting as servicer has already been licensed by the BRSA). Under Turkish law, there is no provision that requires originators, servicers or issuers under offshore securitisations to have a specific licence. For the purpose of the AMBS legislation, the CMB will focus on whether the issuer and the originator meet the set out necessary conditions. As per the Communiqué, where a bank, financial leasing company or financing company applies to establish a fund or MFI, the CMB will require the opinion by the BRSA as being the regulator authority of these entities in Turkey. See question 4 for offshore securitisations. Pursuant to the AMBS legislation, in the event that an issuer suffers from repayment difficulties owing to the failure of its board to duly perform its duties under the Communiqué, the CMB may require the board to be changed. If repayment difficulties continue even after such a change, the CMB may determine the transfer of the issuer to another bank, MFI or intermediary institution. On the other hand, there are restrictive measures provided under the banking legislation that can be imposed by the BRSA. Disclosure requirements applicable to publicly traded companies and non-public companies that offer their non-share securities to the public domestically, are set out under the Communiqué on Material Events Disclosure No-II-15.1 (the Disclosure Communiqué). Pursuant to the Disclosure Communiqué, any information that may possibly affect the value and price of the capital market instrument and the investment decision regarding such an instrument, is considered to be ‘material information’ and must be disclosed on the Public Disclosure Platform (PDP). In practice, banks (ie, founders) disclose information in relation to DPR transactions (including their maturities, amounts and purposes) before and after issuances, even though there is no specific and clear requirement regarding securitisation under the Disclosure Communiqué whereas, as outlined above, it requires disclosure of any material information that would affect the investment decision of the investors, including the price and value of the listed company . With regard to public offerings in Turkey, pursuant to the Communiqué on Prospectus and Issuance Certificate No. II-5.1, the prospectus and the issuance certificate approved by the CMB regarding the AMBS issuances must be disclosed on the PDP within 15 business days, starting from the receipt of such an approved prospectus and issuance certificate. Furthermore, the founder or the MFI must publish the approved prospectus on its website simultaneously with its publication on the PDP. ratings and updates of the AMBS. In case of a private placement or sale to qualified investors, the disclosure must be made through electronic transmission to the Central Registry Agency (CRA), and information must be made available to investors on the website of the founder or the MFI. Under the AMBS legislation, for MBS issuances, only banks, financing companies, financial leasing companies, TOKİ, MFI or other originators, as deemed appropriate by the CMB, are eligible to be an originator. Concerning ABS issuances, in addition to the aforementioned originators, joint stock companies having their fields of activity as providing goods or services are also eligible as approved by the CMB. It is worth highlighting that funds or MFIs established by financial leasing companies and financing companies can only acquire assets of their founders to be included in the portfolio as underlying assets. Under Turkish law, there is no provision strictly limiting as to which type of entity can be an originator in offshore securitisations. other assets (excluding capital markets’ instruments) as may be deemed appropriate by the CMB. other assets as may be deemed appropriate by the CMB. Furthermore, assets must meet certain requirements relating to the quality of the receivables, mortgaged real estate, insurance liabilities, derivative instruments, etc. Also, the portfolio must be established so that the value of the assets is not lower than that of the liabilities arising from the AMBS and, if any, derivative transactions in the portfolio. As noted above, there is no provision under Turkish law with regard to the assets that can be securitised in offshore securitisations. However, so far, DPRs have been heavily used by Turkish banks as an asset class to transfer to offshore SPVs. As a general principle, there is no restriction on the classes of investors that can participate in an offering. The AMBS legislation allows for the public offering of AMBS in Turkey with certain requirements. Also, the CMB may require that the offering is made solely to qualified investors, depending on the application of the originator. intermediary institutions and banks may act as custodians. On the other hand, there is no provision as to which banks may act as the account bank under the AMBS legislation while banks themselves generally act as the servicer or account banks where they are originators. Under the offshore securitisation transactions so far, the originators themselves have acted as servicer under a servicer agreement. Under the AMBS legislation, SPVs can either be established as a fund or an MFI, which is a joint stock company. As per our foregoing inputs, there is not any regulation for offshore SPVs in this respect. Pursuant to the AMBS legislation, AFFs can only issue ABSs, and HFFs can only issue MBSs, as opposed to MFIs, which can issue them both. The AMBS legislation provides two alternative procedures for the establishment of a fund. An application for the establishment of a fund and AMBS issuance can be made simultaneously or, alternatively, an application for the establishment of a fund can be made in advance of the application for issuance. As for the establishment of an MFI, the application should first be made to the CMB for the MFI’s establishment. Once the CMB grants establishment approval, the following application should be made to the Ministry of Trade for the establishment of an MFI. Subsequently, another application for the activity licence must be made to the CMB. AMBS issuances that involve a public offering in Turkey should be made at once. On the other hand, AMBS issuances that are to be made outside Turkey, or in Turkey without a public offering, can be made in tranches within a definite time period overseen by the CMB, which grants the issuance certificate. Before each AMBS issuance outside Turkey, or in Turkey without a public offering, an additional application has to be made in order to obtain the approval from the CMB for the issuance of the respective tranche. However, issuance of an additional tranche can be made either after redemption of all outstanding AMBSs under the existing tranche and modification of the by-law for the new tranche, or by establishing another fund or MFI. In case a fund is founded by an originator as foreseen under the AMBS legislation, then the by-laws of the fund have to be approved by the CMB, and such by-laws have to comply with the requirements set forth the AMBS Communiqué. Under Turkish law, it is possible to stipulate which jurisdiction’s law applies to the assignment of receivables. However, if a receivable arises from a Turkish law-governed contract, choice of foreign law as the governing law under the assignment agreement of such a receivable may potentially be challenged before the Turkish courts since it would conflict with Turkish international civil and procedure law, and Turkish courts may review the validity and enforceability of the assignment. 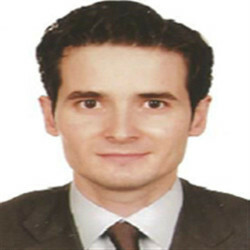 In this case, it is advisable to have a Turkish law-governed assignment agreement executed in writing with regard to the origination of receivables in Turkey under a securitisation transaction. 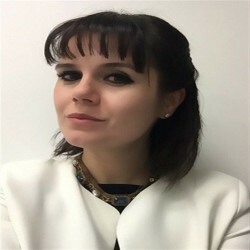 For offshore securitisation transactions for DPR; in addition to the typical programme documents subject to foreign law, it is common practice to have a separate bill of sale governed by Turkish law where the originator transfers the relevant assets to the SPV. if the issuer has provided a guarantee in favour of the AMBS investors, assets may be removed from the portfolio or replaced in accordance with the principles stated in the circular or issuance certificate. For an offshore securitisation transaction, transactions by SPV will be subject to the programme documents and the foreign law that SPV is subject to. In any case, it has been common practice to establish security right on the assets of SPV for the benefit of investors to ensure protection. the currency and the place of issuance with respect to the respective AMBS. Any changes to this information (including early redemption notifications) shall be notified to the CRA within three business days following the change. the names of those who have purchased the securities and amount of the securities. Once the securities are repaid in full, the bank must provide another notification in writing of such repayment, and to whom the securities have been returned, within one month of repayment and return. For offshore securitisation transactions, there is no specific filing whilst the originator is required to send information on the details of the SPV and transaction to the relevant tax authority pursuant to the provisions of Corporate Tax Communiqué (published in the Official Gazette dated 3 April 2007 No. 26482). Under Turkish law, notifiying the obligor is not necessary to validate the assignment of receivables. However, unless the obligors are notified of the assignment, they can be discharged from their liabilities if they make a payment to the originator (assignor) instead of the issuer (assignee) in good faith. In practice, especially by the banks, certification notifications to obligors are effected through a notary public. Under the offshore securitisations, the general practice has been having the originator bank acting as the servicer, and not notifying the obligors in normal course of transactions in place. For the AMBS legislation purposes, it clearly provides that collections from the portfolio are already assets of the fund or MFI, and those shall be transferred to a separate bank account opened in the name of the fund or MFI promptly after the collection. Furthermore, this structure has been devised in a manner that does not require notification to the borrowers on the day that the transfer to the fund or MFI takes place. According to the Law on Protection of Personal Data (No. 6698), the general rule for the processing of personal data is that such data can only be processed with the explicit consent of the data subject or with additional legal grounds that do not require explicit consent. Furthermore, as per Banking Law (No. 5411), banks are prohibited from disclosing documents of, and information on, their clients to third parties other than the official authorities specifically authorised to request confidential information from the banks pursuant to their applicable legislation. Therefore, it is advisable to include provisions relating to confidentiality and limitations regarding the use of data into contracts entered into for the purpose of securitisations, where counterparties of such contracts have access to confidential information and data of the obligors. Moreover, there is no rule restricting the waiver of confidentiality and, generally, such waivers are taken from obligors by the banks in advance, (eg, the documentation used in opening deposit accounts or the provision of loans). The Communiqué on Principles Regarding Rating Activity in Capital Markets and Rating Agencies (Series VIII, No. 51) (the Communiqué on Ratings) regulates rating activities and principles in Turkey. It also outlines the conditions required to be licensed as a rating agency by the CMB in Turkey. Pursuant to the Communiqué on Ratings, credit rating agencies should pursue an honest and impartial relationship with issuers. Furthermore, credit rating agencies should ensure confidentiality and independence, and avoid all kinds of activities that may cause a conflict of interest. other applicable criteria in relation to the originator and its country. We would like to underline that, for offshore securitisation transactions, ratings by major foreign rating agencies are obtained usually (for either originator or the notes issued under the programme). other responsibilities arising from respective legislation or as may be required by the CMB. The fund’s board may appoint a bank or an intermediary institution that meets the requirements for founders as the operation manager for the fulfilment of its duties, except the supervision of the servicer. However, such a transfer of duty shall not prejudice the fund’s responsibilities under the Communiqué. Furthermore, the fund’s board should appoint an internal auditor who does not engage in the operations of the issuer. Pursuant to the Communiqué, the originator or founder or MFI, must purchase 5 per cent of the nominal value of the AMBS and hold it until the maturity. The originator and founder or MFI can comply with this requirement, splitting the amount between them. The CMB may change this ratio, depending on the type of asset, and increase it up to 10 per cent on the basis of the originator or founder or MFI. If there is more than one tranche of AMBS, which having been rated the same or not having been rated at all, the founder or MFI should distribute its holding equally or pro rata between the tranches. Alternatively, if the tranches have different ratings, the founder or MFI should hold the tranche with the lowest rating. There is no such requirement for offshore securitisation transactions. Pursuant to the AMBS legislation, the assets of a fund or MFI are segregated from the assets of their founder, servicer and originators, and cannot be disposed of for any purpose whatsoever, even if the management or audit of their founder, servicer or the originators are transferred to public authorities. They cannot be subject to attachment, made subject to interim injunction or included in the bankruptcy estate even for the collection of public receivables until the AMBSs are redeemed in full. Neither can assets of the fund nor MFI be pledged or otherwise designated as collateral except for the purpose of taking loans, entering into derivative transactions or similar transactions on behalf of the fund or MFI. Furthermore, pursuant to the AMBS legislation, the founder or MFI, or legal entities that are permitted to be founders, can partially or fully guarantee the payments. Payments can also be partially or fully insured by insurance companies. There are certain requirements related to security. For example, where the asset is auto loan or mortgage, the related registry records should show that the pledgee is the fund or MFI based on the transfer from the originator to the fund. For offshore securitisation transactions, DPRs have been the most common asset used to date as per our foregoing explanations. Therefore, the ownership of the SPV is secured with acknowledgements executed by the correspondent banks of the originator as well as the pledge arrangements. Accordingly, the correspondent banks transfer the collections directly to the SPV’s account, which is pledged (in the name of the indenture trustee) for the benefit of the investors. For the purpose of AMBS legislation, since the fund or MFI owns the assets to be used exclusively to repay the notes, the investors can always make recourse to such assets in case any default occurs on the notes. However, certain regulatory protection exists. Accordingly, in the event that the issuer suffers from repayment difficulties as a consequence of the failure of its board to duly perform its duties under the Communiqué, the CMB may require the board to be changed. If the repayment difficulties continue even after such change, the CMB may determine transfer of the issuer to another bank, MFI or intermediary institution. However, if the founder has provided a sufficient guarantee, the founder can continue repaying in accordance with the repayment terms. To sum up, investors can make recourse to the founder for the repayments that cannot be met from the proceeds of the portfolio assets. As per the AMBS legislation, it is clearly indicated that assets of the fund or the MFI are separate from assets of the originator, the founder or the MFI. Also, the collections from the portfolio are assets of the fund or MFI and shall be transferred to a separate bank account opened in the name of the fund or MFI, promptly after collection. Therefore, in theory, there is no commingling risk since the collections directly pass to the fund or MFI. For offshore securitisations, since DPRs have been heavily used as asset types that do not comingle in the assets of the originator by nature, comingling risk has not been a major concern. For other asset types, it is of importance to ensure separation or actual transfer of the assets to SPV with sufficient control in practice in order to avoid any comingling risk or challenging arguments of assignment or sale since there is not clear legislative protection for offshore securitisations. Local issuances under the AMBS legislation give rise to stamp tax concerns stemming from the assignment agreements executed between the originator and the fund or MFI. Since there is no specific stamp tax exemption applicable to such assignment agreements, this gives rise to stamp tax liability over the amounts declared on the assignment agreement. As stated above, the transfer of covered bonds to the funds can be made without executing an assignment agreement which avoids stamp tax concerns for this case. As regards banking insurance and transaction tax, where any benefit is received by the originator bank as servicer (or performing another role in the issuance), then such tax may apply to the amounts taken as a fee or other benefit for the securitisations by banks. Originators other than banks should seek VAT advice in case they have certain roles that incur a fee. For offshore issuances, the common approach in the market has been that the offshore securitisation transactions benefit from stamp tax exemption foreseen for loans. Withholding tax is applicable on interest payments at a rate of 1 per cent. For local AMBS issuances, there is a withholding exemption where the issuance is made through an intermediary institution or a bank in Turkey. Where the fund or MFI directly issues the notes offshore, then withholding analysis will depend on the maturity of the notes, which will be up to 10 per cent interest for notes with a maturity of less than five years. In any case, a detailed tax analysis should be performed for different investor types. See question 29. The notes themselves are exempt from stamp tax, so issuance of the notes by the fund or MFI does not raise stamp tax concerns. However, the VAT and income of the fund or MFI (if any) should be considered separately. See question 29 regarding withholding regime. Liability remains with Turkish issuers or originators to withhold such amounts; therefore, the Turkish tax authorities will revert to the issuers or originators in Turkey if no required deduction has been made. With respect to the AMBS legislation, see question 25. For offshore issuances, although SPVs are formed as a separate legal body, their accounting regime is subject to the general accounting requirements applicable to the originators. Nevertheless, from a legal perspective, consolidation of an SPV does not affect the true sale analysis as long as there is a valid assignment of receivables between the SPV and the originator. With respect to the AMBS legislation, see question 25. As regards offshore securitisations, as noted earlier, there is no specific set of rules regarding the transfer of assets and bankruptcy remoteness. Therefore, we rely on the general provisions of Turkish law as well as the execution of Turkish bankruptcy law principles. Accordingly, as voidable preference analysis, in the event that the originator becomes insolvent or bankrupt, or an attachment is obtained against the originator, the originator’s creditors may apply to a Turkish court to invalidate certain transactions entered into by the originator. Accordingly the transactions executed to defraud the creditors of the originator and the transactions with no consideration or transactions at undervalue can be challenged before Turkish courts in accordance with the Enforcement and Bankruptcy Law of Turkey (No. 2004). As for transactions with no consideration or at undervalue, for the court to declare such transactions invalid, such a transaction must have taken place within two years before an attachment is obtained against, or the insolvency or bankruptcy of, the originator. Additionally, a fraudulent conveyance concept with disposals made by the originator not acting in good faith, or that would not be made by a prudent person and that reduce the originator’s assets, may be subject to challenge by the originator’s creditors. For such a challenge to succeed, the creditors must prove that the SPV, at the time it entered into the transaction, was aware or should have been aware of the originator’s financial condition and of the fact that the originator was not acting in good faith or as a prudent person. The creditors who are entitled to apply to the court for the invalidation of such disposals are those who have instituted either attachment or bankruptcy proceedings against the originator within five years after the date of any such disposals. However, if the originator acts deliberately to jeopardise the creditors’ interest and the SPV was aware of such deliberate act, the above-mentioned two-year requirement does not apply. In any case, a creditor’s application to the court to invalidate a transaction owing to fraudulent conveyance must be made within five years of the occurrence of the transaction. Concerning the AMBS legislation, see question 25. With respect to offshore securitisations, see question 32. 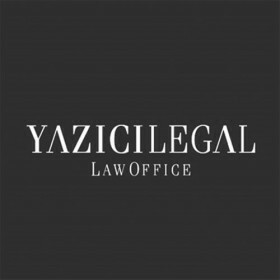 YazıcıLegal is a law firm providing services and assistance in various matters of a legal nature including representation of clients in negotiations with counter-parties, structuring of deals, contract drafting, regulatory advice and dispute resolution.